Have you ever bent over to grab something only to be paralyzed by sharp back pain? If you haven’t had a fall or experienced any other trauma and you’re beyond age 60, another possible reason is a compression fracture. It’s more common in postmenopausal women, but it can happen in men too. Another sign of a compression fracture is that your lower back pain gets worse with any type of movement of the back. If you are lying or sitting still, the pain is minimal, but once you begin to move, the pain worsens immediately. Patients usually describe the pain as feeling like a series of muscle spasms, says Samuel Samuel, MD, Medical Director of Pain Management at Cleveland Clinic’s Marymount Hospital and Marymount South. 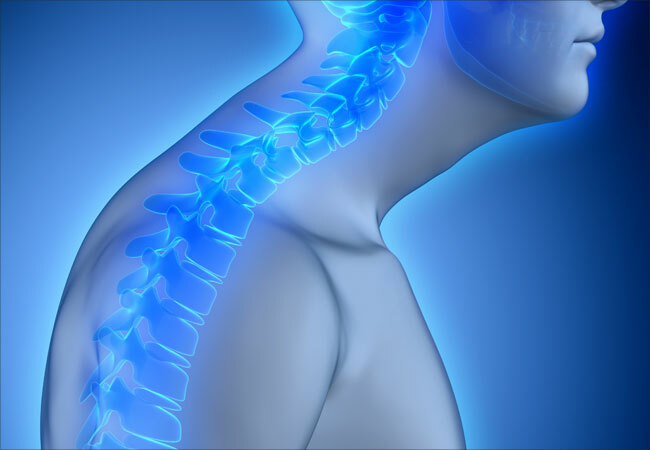 Several treatment options can help manage pain from compression fractures in your spine. The first step toward relief, though, is to let your doctor diagnose the cause to pinpoint the best treatment. Patients who continually take the steroid-based medication prednisone may also experience compression fractures. Multiple myeloma, a cancer of the bone marrow, is another possible cause of compression fractures. It is more common in people over the age of 50, according to Dr. Samuel. The spine is usually just one of several locations for this cancer. It typically affects other bones, as well, he says. A medical procedure known as a kyphoplasty or vertebral augmentation is very effective for patients with a spinal compression fracture, Dr. Samuel says. During this outpatient procedure, the physician injects a cement material into the spine to stabilize the fracture. Dr. Samuel says the procedure helps preserve the height of your vertebral body so it doesn’t collapse any further. Patients usually wake up from the procedure with significantly less pain than they had before. However, there may still be some minor pain or discomfort, he says. Physicians often prescribe a back brace for additional support. You can purchase a brace at a medical supply store, but it requires a prescription for a proper lumbosacral orthosis device. “Usually the braces that are sold in the pharmacies are not sufficient to treat the compression,” Dr. Samuel says. Incorporate salmon and other seafood into your diet. Get routine bone density tests through your primary care physician. Talk to your doctor about whether a class of medications called biphosphonates is right for you. They help prevent the loss of bone mass by strengthening your bones with calcium and vitamin D.
Is Surgery Your Best Option for Back Pain?